Got your refund yet? Come spend it on a great deal! Yes, surprisingly still for sale. Happy Valentines Day. Buy yourself a gift! This bed cover! Take your tax return money and get this for your truck. It’s like a Valentine’s Day gift to yourself. Your significant other will thank you. Located in West Chester, PA Extang Tri-Fold 2.0 Signature Series Bed Cover (Part #94450) Fits GM 6.5 bed. Details below. This is the canvas top, not the vinyl. It's more expensive, because it looks better and lasts longer. 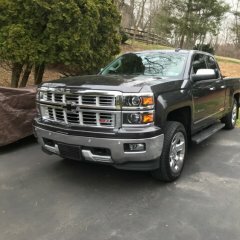 Purchased 10 months ago new from Amazon, sold truck. In perfect condition. $460 new. $300 firm. Pickup only, no shipping. 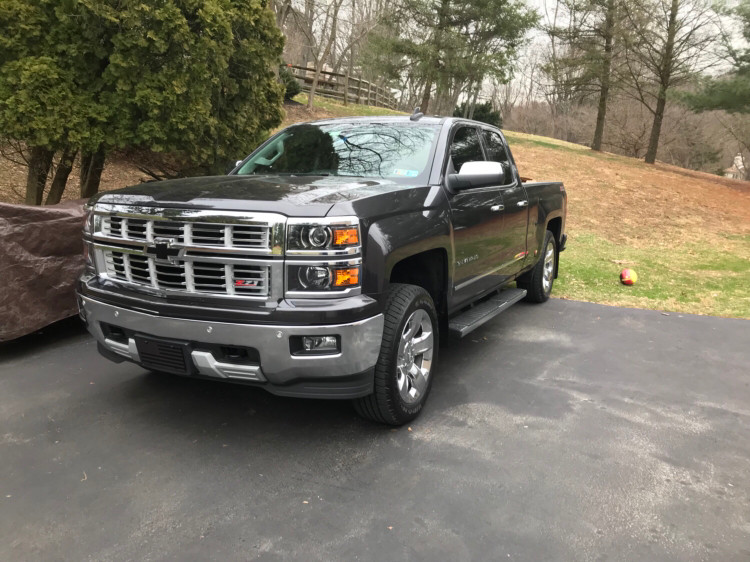 Fits The following: 2018 Chevrolet Silverado 1500 78.8 Bed 2014-2017 Chevrolet Silverado 1500 78.9 Bed 2019 Chevrolet Silverado 1500 Legacy 78.8 Bed 2015-2019 Chevrolet Silverado 2500 HD 78.8 Bed 2015-2019 Chevrolet Silverado 3500 HD 78.8 Bed 2018 GMC Sierra 1500 78.8 Bed 2014-2017 GMC Sierra 1500 78.9 Bed 2019 GMC Sierra 1500 Limited 78.8 Bed 2015-2019 GMC Sierra 2500 HD 78.8 Bed 2015-2019 GMC Sierra 3500 HD 78.8 Bed The first picture is a general online pic, the second two are of actual cover. It's in perfect shape. Double cab long bed. It’s the same part number for both variations, as long as it’s the 5.3. The 6.2 was a different part number, and the single cab was yet another different number. Also, to all: I will have an Extang Trifecta 2.0 Signature (canvas cover) Tri fold tonneau also going on here for $300 as soon as I can get pics. Paid $430 back last March for it. Perfect condition. It’s in the main post. West Chester, PA. Near Philadelphia. If you want one of those Amp bed extenders that flips in I just picked up one from cabelas new for $130 shipped. That floor is wild. Nice job with the garage. At least they’re covering you. And that’s the correct thing to do. Enjoy your new engine!